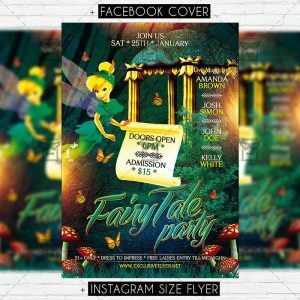 The Cookout Party is an exclusive PSD flyer template for Adobe Photoshop designed by our best graphic designers to facilitate your task in promoting your business. With our readymade Summer Cookout flyer in psd format you can invite you customers and guest to your event or to the best Summer Cookout Party, Family Cookout Party, Sunset Cookout Party or Cookout Sundays in their lives. 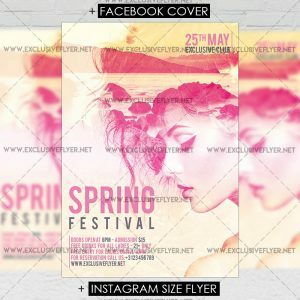 The Balloons Festival is the exclusive Photoshop PSD flyer template designed by ExclusiveFlyer to promote your Balloons Festival Celebration. This is a modern, stylish flyer and just be used for a Ballons Party, Summer Balloons Night etc. 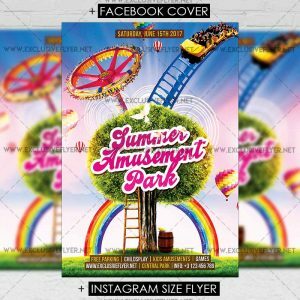 The Summer Amusement Park is the exclusive Photoshop PSD flyer template designed by ExclusiveFlyer to promote your Summer Amusement Park. This is a modern, stylish flyer and just be used for a Summer Kids Fest, Family Day, Kids Party etc. 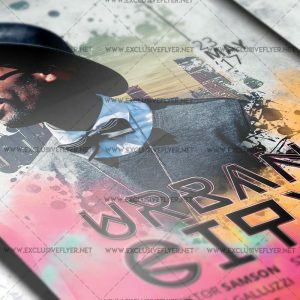 The Urban City is the exclusive Photoshop PSD flyer template designed by ExclusiveFlyer to promote your Urban City. 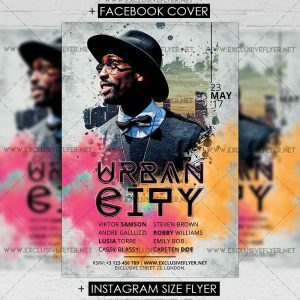 This is a modern, stylish flyer and just be used for a Urban Night, Special Guest Party, Dj Night, Live Music Night etc. 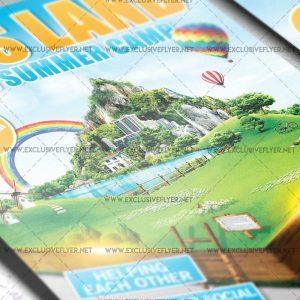 The Kids Land is the exclusive Photoshop PSD flyer template designed by ExclusiveFlyer to promote your Kids Land. This is a modern, stylish flyer and just be used for a Kids Camp, Summer Vacation, Summer Camping etc. 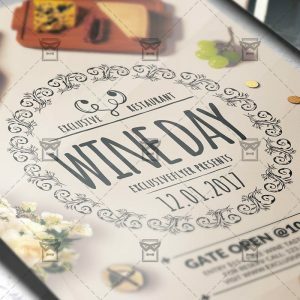 The Wine Day is the exclusive Photoshop PSD flyer template designed by ExclusiveFlyer to promote your Wine Day. This is a modern, stylish flyer and just be used for a Wine Night, Wine Festival etc. 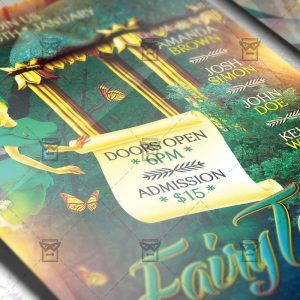 The Fairytale is the exclusive Photoshop PSD flyer template designed by ExclusiveFlyer to promote your Fairytale party. This is a modern, stylish flyer and just be used for a Halloween Party, Kids Party, Masquarade Night etc. The Chicken Tacos is the exclusive Photoshop PSD flyer template designed by ExclusiveFlyer to promote your Chicken Tacos. This is a modern, stylish flyer and just be used for a Tacos Festival, Chicken Tacos Day, Chicken Tacos Promotion etc. 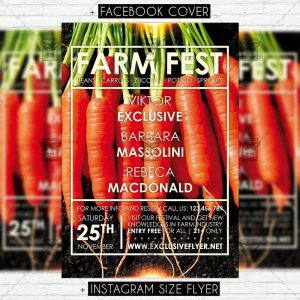 The Farm Fest is the exclusive Photoshop PSD flyer template designed by ExclusiveFlyer to promote your Farm Festival. 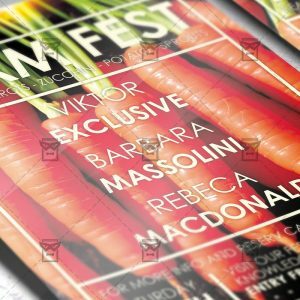 This is a modern, stylish flyer and just be used for a Organic Food Festival, Farm Flyer etc. 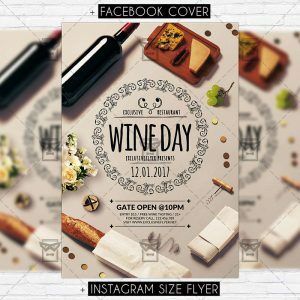 The Wine Fest is the exclusive Photoshop PSD flyer template designed by ExclusiveFlyer to promote your Wine Fest. This is a modern, stylish flyer and just be used for a Wine Party, Drinks Night, Grape Festival etc.